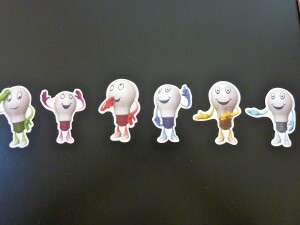 This package of fun Lightbulbs Mini Accents from our teacher store are probably meant for bulletin boards in the classroom but when I saw them, anyone who knows Andrew also knows that I had to have them! 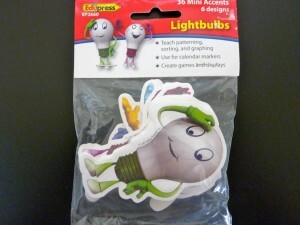 Package of Lightbulb Mini Accents by Edupress. Checking out a new colored lightbulb he had earned. So happy and excited!! Andrew’s love of ceiling fans is second only to his love of lights and light bulbs. One very consistent phrase of his before he was speaking was “uh uh u-uh!” which translated to “lights are on” with the “on” being drawn out a bit. He can walk into a store, a house, anywhere and determine which lightbulbs need to be replaced, which ones are brighter than others and if he’s been there before can tell you about any changes in wattage. 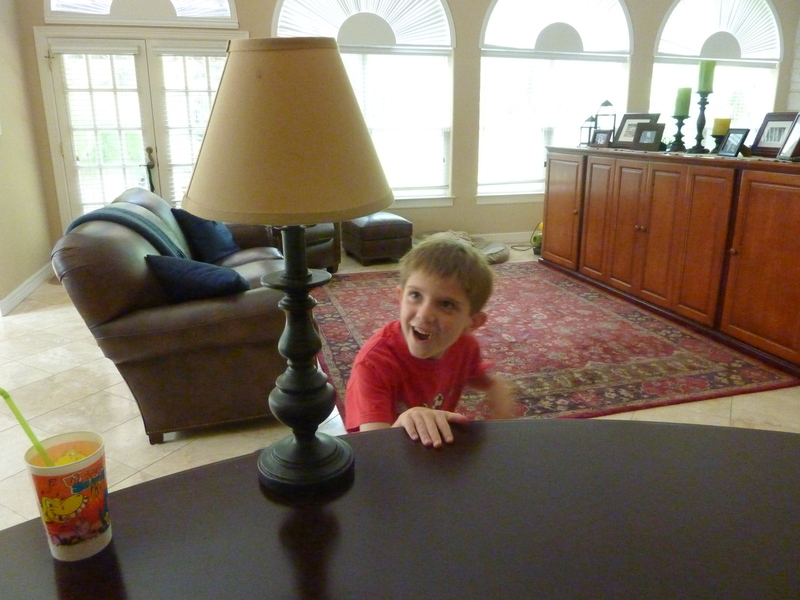 Amazing, especially when I think about how quickly he does this – almost like laser vision as he scans the place. 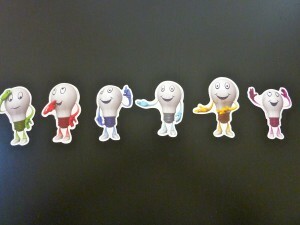 Anyways, look how cute this guys are! 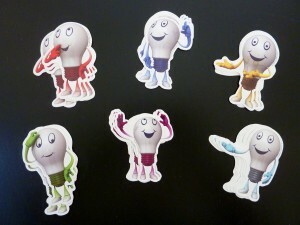 There are 6 different lightbulb characters which make them perfect for a station of sorting, patterning, graphing and could easily be paired with a clothesline and clothespins to help build fine motor skills. As I was looking at these again, it also occurred to me that they would be perfect with children who are ready for a bit of storytelling. The expressions on their faces and the hand gestures got me thinking about incorporating them with story starters. Sequencing them for a story based on their facial expressions and hand gestures. Oh shoot! I forgot my lunch! Wait a minute, I have a great idea! We can all look in our lunches to see if we have anything to share. Let me think, do I have anything to share that you would like? I know that I do! My mom must have known because she packed me a ton of food today. See, problem solved. Friends helping friends! What could be better? Super, basic story but hopefully you can see how you can use the facial expressions and gestures to go through and create a story. 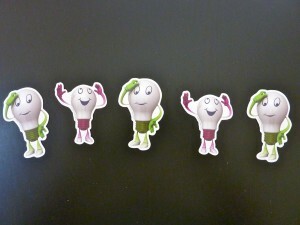 Another sequence for story telling. Keep in mind, they don’t all have to be used at the same time, but even using 3 or four of them could create a nice little story complete with characters (who), setting (when and where), conflict/problem (what) and resolution (how). This sort of learning material just goes to show you that there is a ton of stuff out there that can help motivate and engage your child, even if you have a child who isn’t into the typical things like sports or cars. Who would have thought that our thing would be lightbulbs and ceiling fans? Not me but I wouldn’t have it any other way!